The LightSources group is comprised of the most innovative, high-tech designers and manufacturers in the lamp manufacturing industry today. Our affiliated companies LCD Lighting and Voltarc along with strategic partners LightTech, and Cerlux, manufacture products that can be found all over the world in a multitude of applications and industries. Our corporation has approximately 1,000 dedicated employees worldwide. Our American headquarters are in Orange, Connecticut, and handles all major operations, including sales, general and administrative functions, manufacturing, warehousing and distribution. Production for LightSources, LCD Lighting and Voltarc is carried out in a 3.5 acres (14,000 m²) facility. LightTech’s European base is in Dunakeszi, Hungary and houses all of their major operations including sales, general and administrative functions, manufacturing, warehousing and distribution. This is also the location of our modern glass factory. Cerlux, our ceramic base designer and manufacturer, is in Oroshaza, Hungary. 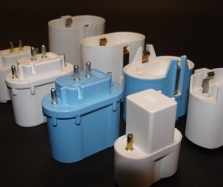 They provide custom ceramic components such as end caps, bases, connectors and industrial ceramics. By operating our own modern fluorescent glass and ceramic factories along with our other state-of-the-art facilities and resources in the U.S. and Europe means we are able to respond quickly to clients’ requirements. In addition we even have a sales office in China. This truly worldwide presence provides a synergistic relationship that allows us to meet the needs of the many economic regions where our clients do business in. We manufacture specialty standard and custom lamps for some of the largest corporations in the world as well as collaborate with entrepreneurs and small or medium size OEMs to service their specific needs. Our team of highly skilled professionals has the expertise and resources to take virtually any prototype right through to finished production. Visit our website to learn more about our high-tech lighting solutions. The LightSources team consists of the most highly skilled professionals that specialize in a range of innovative solutions. Our specialty products are used world-wide in a multitude of applications and industries such as our avionic display backlighting that is part of the National Defense and US Space Program. Contact us to learn more about our state-of-the-art lighting technology. At the LightSources group, we operate state-of-the-art manufacturing facilities to create specialty standard and customized OEM-oriented lighting solutions. 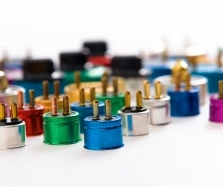 Our products are found all over the world and are used in a multitude of applications and industries. LightTech, our strategic European partner holds an almost equivalent product portfolio to LightSources in North America and operates one of the most advanced glassworks in Dunakeszi, Hungary. The location houses all major operations, which include sales, general and administrative functions, manufacturing, warehousing and distribution. The facility consists of four large buildings that include offices, production halls and the glass factory (20 acres / 82,000 m² industrial lands). Newly opened in 2001, our glass factory is one of the most advanced glassworks in Europe and is the only one in the region that produces and sells open, closed, FS and germicidal – as well as our proprietary SolGlass®. It has the resources to engineer custom lighting and proprietary lighting solutions with internal chemistry and phosphor capabilities. The factory manufactures T4, T5, T6, T8, T10 & T12 fluorescent and germicidal soft glass, and produces for both our needs as well as for specific customers. By controlling the entire process, we have the ability to offer short runs, quick turnaround, and quality control. LightTech is working diligently to satisfy our clients and to meet the increasing global demand. In order to do so, we have added a second furnace as well as another manufacturing line. With our extensive production capacity, we provide our clients the ability to adapt to new trends quickly. The LightSources and LightTech team include experienced professionals in the production of low pressure tanning lamps, specialty UVC germicidal lamps and UV lamps for other specialized applications. We remain committed to engineering standard, specialty and proprietary lamps that meet the specific needs of our clients. Please visit our website or contact one of our staff for more information. LightSources and our affiliated companies represent the leading high-tech designers and manufacturers in the lamp industry today. Our products are used world-wide in a multitude of applications and industries such as our UV germicidal lamps that offer patent-protected, OEM-oriented solutions. Please contact us to learn more about our extensive selection of lamps. The LightSources group is a global leader in the manufacturing of high-quality standard and custom-designed lamp products. We operate state-of-the-art manufacturing facilities and maintain a large R&D division in order to incorporate proprietary technologies to create patent-protected, OEM-oriented lighting solutions. As part of our group, Cerlux is located in Oroshaza, Hungary, and is one of the leading global companies in custom thin ceramic base designs. They have the engineering and manufacturing expertise to design and fabricate proprietary end fittings and matching sockets. The custom ceramic parts are produced by an automated process or by a manual hand-press that requires precise engineering. Before they are assemble in a lamp, each end fitting and socket is carefully tested at the factory. Ceramic manufacturing is a highly specialized process and requires customized machinery that allows us to cost-effectively handle high volume orders while ensuring a constant precise quality. Our Cerlux engineers and developers continuously work on designing in-house tools that are used to improve the production process. These tools are engineered with the latest up-to-date 3D compatible software and include our sparking, grinding and milling machines. Cerlux (as well as the entire LightSources group) is constantly evaluating our impact on the environment and have long-term goals in place to recycle, reuse, and reduce our waste. One example is that we recycle the heat from our kiln to produce hot water and heat for our office and manufacturing buildings. See visit our website for all of the information regarding our specialty lamp products. LightSources and our affiliated companies represent the leading high-tech designers and manufacturers in the lamp industry today. Our products are used world-wide in a multitude of applications and industries such as our avionic display backlighting that is part of the National Defense and US Space Program. The LightSources team consists of the most highly skilled professionals that specialize in a range of innovative solutions. Contact us to learn more about our customized lighting solutions. The LightSources group includes LCD Lighting, Voltarc, LightTech, and Cerlux and is the world’s leading manufacturers of specialty lighting solutions. In an effort to provide customers detailed information on our products, we offer extensive educational resources on our website. Here you will find easy-to-follow information that includes a glossary of terms, FAQs and downloads all intended to increase your knowledge of LightSources’ broad range of specialty lighting products. You will learn more about the innovative lighting technology that goes into creating germicidal UVCs, specialty fluorescents, sign lamps and tanning lamps. We also make available Material Safety Data Sheets on our products along with relevant magazine articles and other pertinent information. An example of some of the topics includes UV germicidal benefits, nomenclature, components, lamp types, power supplies and much more. In addition you will find explanations regarding the various factors that affect lamp performance as well as the different areas of application (Air, Surface and Water Sterilization). You will also to able to take a look at our marketing brochures and leaflets for products that may be printed out for your convenience. Furthermore, there is a section of lamp drawings that provide customers with an in-depth look at our lamps. For those interested, we supply a Customized Lamp Design Form for MPUV lamps. This offers a great way to get started on designing a customized lamp. Additional information is available on our Resources and Partners page, where you will find contact information and websites for industry-specific organizations. If the event you are unable to find what you need, contact us personally and we will be more than happy to get you that information. At the LightSources group, we are committed to providing not only the best specialty and customized-design lighting solutions in the industry, but also the best customer service. LightSources and our leading affiliate in fluorescent lighting technology, LCD Lighting (LCDL), offer OEMs of any size a wide range of standard and customized specialty fluorescent lamps. As the foremost high-tech designers and manufacturers in the industry, we bring a wealth of patented and propriety technologies that help to set us apart from our competitors. Our T-2, T-4, T-5, T8 and T-12 fluorescent lamps offer custom phosphor engineering and deliver precise color temperature, CRI index, and brightness (lm/watt) in every lamp. Our specialty lamp products include CCFL Sub-minis and HCFL-aperture and reflectors, aquarium lighting and compact fluorescents as well as fully customized solutions. One example of LCDL’s patented technologies that demonstrates why we are the leading fluorescent lamp manufacturers is Ultra-Bright™. The unique innovation allows us to manufacture lamps that surpass the performance and quality of anything else like it on the market today. Our Ultra-Bright lamps have double the efficiency (lm/watts), 50% improvement in lumen maintenance, and maximized lighting uniformity. The Ultra-Bright technology can be applied to any hot- or cold- cathode, bent fluorescent lamp from 8mm to 25mm diameters. With this process, we eliminate any performance loss at the bends and deliver more total lumen output for a given wattage input. Another example of our proprietary fluorescent technology is Robo-Bend and offers one more excellent reason to use LCDL as your fluorescent light manufacturer. The cutting-edge technology permits serpentine hot- and cold-cathode lamps to be manufactured with automated bending processes. Furthermore, the Robo-Bend technology decreases production time and provides clients the benefit of faster deliveries and reduced inventories. As a specialty lamp manufacturer, we also can customize the shape, color, base, size, and ceramic end caps to your individual specifications. We encourage you to visit LightSources’ website for all of the information regarding our proprietary fluorescent lamp technologies. LightSources, together with our affiliated companies, represent the foremost high-tech designers and manufacturers in the lamp industry today. 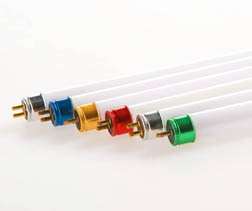 LCD Lighting, our leading affiliate in fluorescent lamps has designed and manufactured thousands of custom fluorescent lamps for virtually every type of OEM lighting application. Contact us to learn more about our exclusive fluorescent light technology. LightSources and our affiliated companies, LCD Lighting, Voltarc, LightTech, and Cerlux, specialize in offering lighting solutions to OEMs as well as to entrepreneurs seeking to bring new products to market. We are a major global corporation and have the capability to supply specialty lamps on a moment’s notice. The LightSources group recognizes that sometimes small OEMs think dealing with a corporation as large as LightSources will be too expensive or that their run sizes are not significant enough. In fact just the opposite is true as we expertly serve OEMs of all sizes and with all types of varying needs. As a leading manufacturer, we have the extensive resources to cost-effectively supply flexible run sizes and short turnaround times. We can handle small runs of just a few lamps as well as huge runs for mass-market applications. One of our goals is to build strong, strategic partnerships with small and medium size OEMs and entrepreneurs to design, engineer, test and deliver customized lamps that meet the requirements of virtually any application. This relationship offers clients the opportunity to distinguish themselves in the marketplace with their own proprietary products and private brands, and adds value and profits to their bottom-line. Our extensive range of products includes: UVC quartz & soft glass germicidal lamps, LPUVC amalgam lamps, HID-MPUV curing lamps, specialty fluorescent UVA & UVB lamps, low pressure tanning lamps and high pressure facial tanning lamps, high CRI specialty color long-life fluorescent lamps, medical lamps, aquarium lamps, horticulture lamps and cinematography lamps. We invite you to take a look at our very informative website or contact one of our knowledgeable staff.